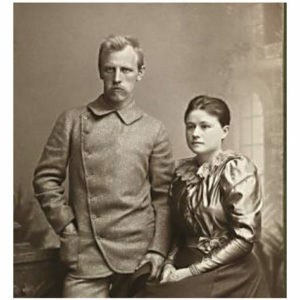 Fridtjof Nansen was one tough Norwegian nail. 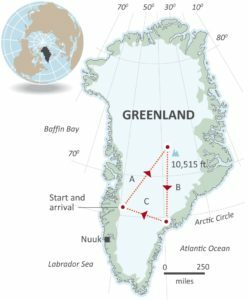 Basically, his plan to reach the North Pole went like this: Build a boat, freeze it stuck in the Arctic Ocean, use natural currents to drift with the ice flow over the North Pole and then back home. Said and done, the ship FRAM (later used by Amundsen) was built and set sails North with Nansen and a smallish Norwegian team. 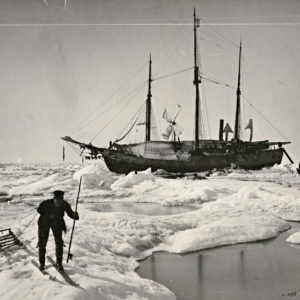 Among applicants not making it on the expedition; a British fellow named Jackson (more on him later) and 20-years old Amundsen, whose mom wouldn’t let him go anywhere until he finished his medical studies. 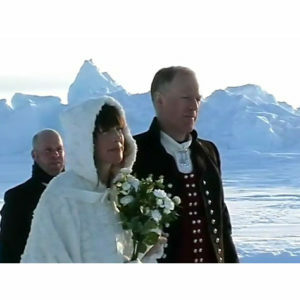 Fast forward many months: Fram is stuck in the ice with a bored crew and nowhere near the North Pole. 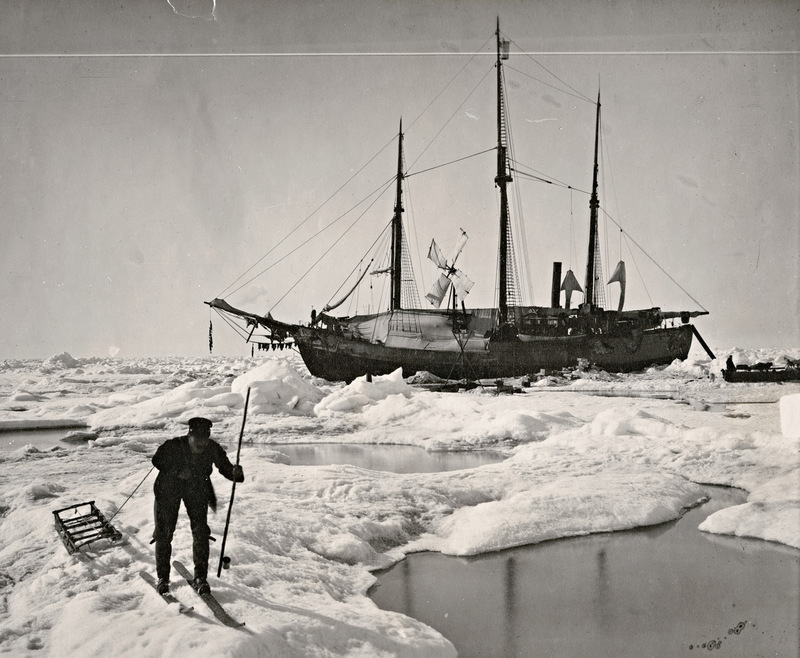 Nansen decides he’ll try and make a run for the pole with favorite expedition mate Johansen, on skis and hauling kayaks. In short, the two come close but not close enough, can’t make it back to the ship so have to try and find land somewhere. 4 months later they happen on a bunch of islands, dig a hole in the ground and spend the winter there. Come spring they decide to simply try and ski back to Norway when Nansen hears a dog bark, climbs a hill and meets a stranger. “Yes, I’m Nansen,” the Norwegian replies. Most unusual perhaps to today’s polar explorers: Nansen and Johansen are brought to base camp and put on the scale. Turns out that after their incredible hike and Arctic winter hole up, both men gained, yes gained, weight. 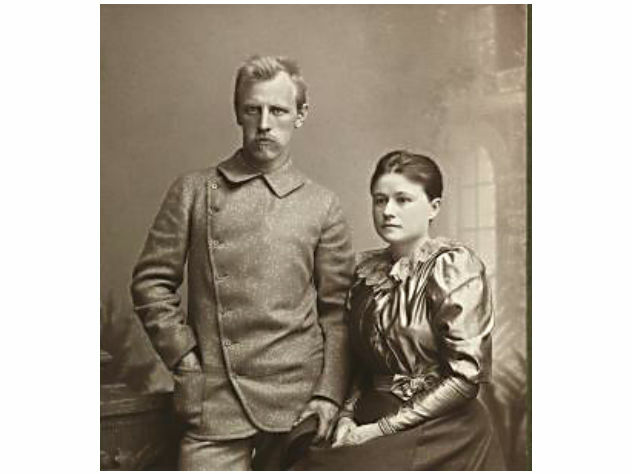 According to Wiki, Nansen had put on 21 pounds (9.5 kg) since the start of the expedition, and Johansen 13 pounds (5.9 kg). 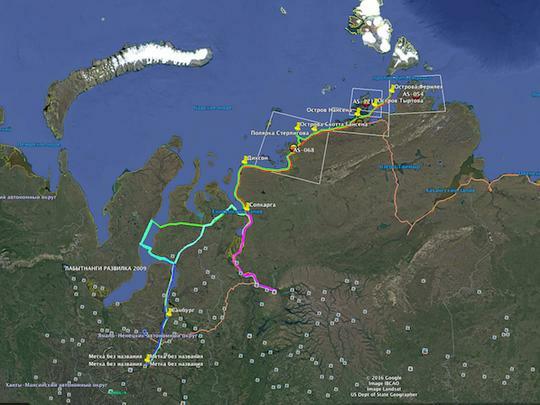 In the 120th anniversary of Nansen’s expedition, this month a Russian HAM radio team will follow some of the footsteps. The participants of the RT9K team intend to reach the island named after Fridtjof Nansen, and also a number of the islands having connections to the explorers. We checked in with spokesman and radio enthusiast Victor Kuzyakin, a.k.a. 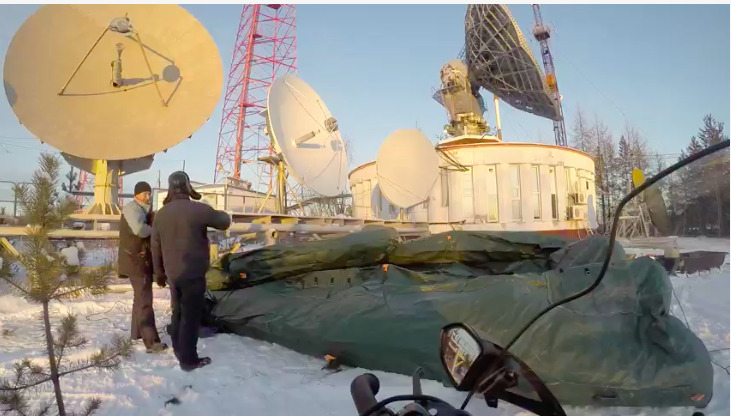 Victor RW0BG, for more about the trip and the planned transmissions, kicking off next week. Pythom/Exweb (KK6PGW): Hi there Victor. 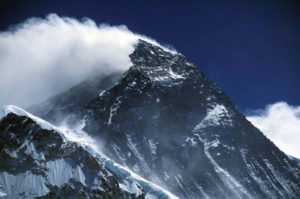 What is the overall purpose of the expedition? What gave you the idea? Victor Kuzyakin: Team leader UA9KDF Igor Znamenskii got the idea and our purpose is achievement and air activity on the islands Fernliya, Tyrtov, Nansen Island and Scott-Gansenn. Pythom/Exweb: How long is the trip scheduled to take? Victor Kuzyakin: About one month or more. This route should be about 4100 km long (2050 km one way). Pythom/Exweb: How many snowmobiles will you use? Dogs? Victor Kuzyakin: 8 snowmobiles. No dogs. Pythom/Exweb: Supplies – food, gas – what is the total weight and will you resupply en route? Pythom/Exweb: That tent is huge! How much power do you need to inflate it (how long does it take and will you use generators?) How will you keep it from deflating and how does it hold up to high winds? 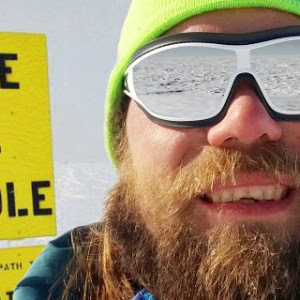 Pythom/Exweb: The race for the North Pole involved mainly Americans and Norwegians, why no Russians? 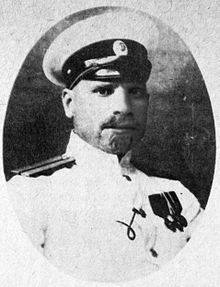 Victor Kuzyakin: :))) Georgy Sedov’s expedition in 1912-1914 is considered the first Russian expedition to the North Pole. Worthy of respect for anyone who attempted to reach the North Pole IMHO. Ed note: I skied to the North Pole (from Canada) and heard little of poor Sedov. Pythom/Exweb: President Putin is pretty ripped, have you offered him a spot? 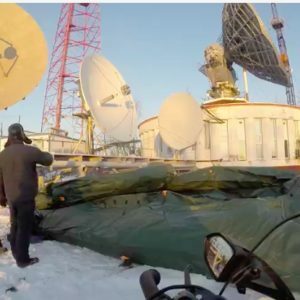 Pythom/Exweb: Will you communicate only over ham radio enroute, no sat phones? Victor Kuzyakin: Yes, of course, we will use satellite phones. Team Safety – first and foremost. Pythom/Exweb: How and when can radio amateurs call on you? Victor Kuzyakin: Planned air activity should be conducted from three sites – CW, SSB and DIGI (PSK, APRS, Pactor) on 40-10 meters as RT9K/9 about 3-4 days from each island. Pythom/Exweb: Radio is common in space exploration, you can also bounce signals off the moon and chat with astronauts on the ISS. What is the coolest HAM radio project your club ever heard off and/or participated in? Victor Kuzyakin: We plan to work only at short wave. For the contacts over the moon need to be a fan 🙂 . Pythom/Exweb: What are your 3 worst case scenarios and how have you prepared for them? 1. We can not achieve the planned islands due to ice conditions. Solution: Perhaps a visit to other islands. The route changes connected with weather and ice conditions. 2. Serious illness or injury team member. Solution: Emergency evacuation by helicopter. 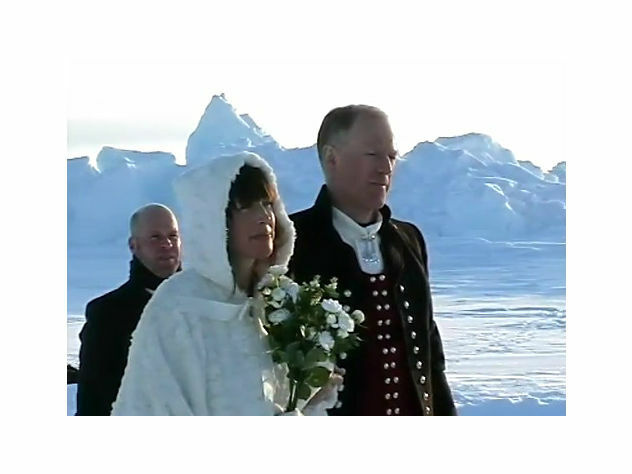 ...Borge Ousland in this image getting married at the North Pole.